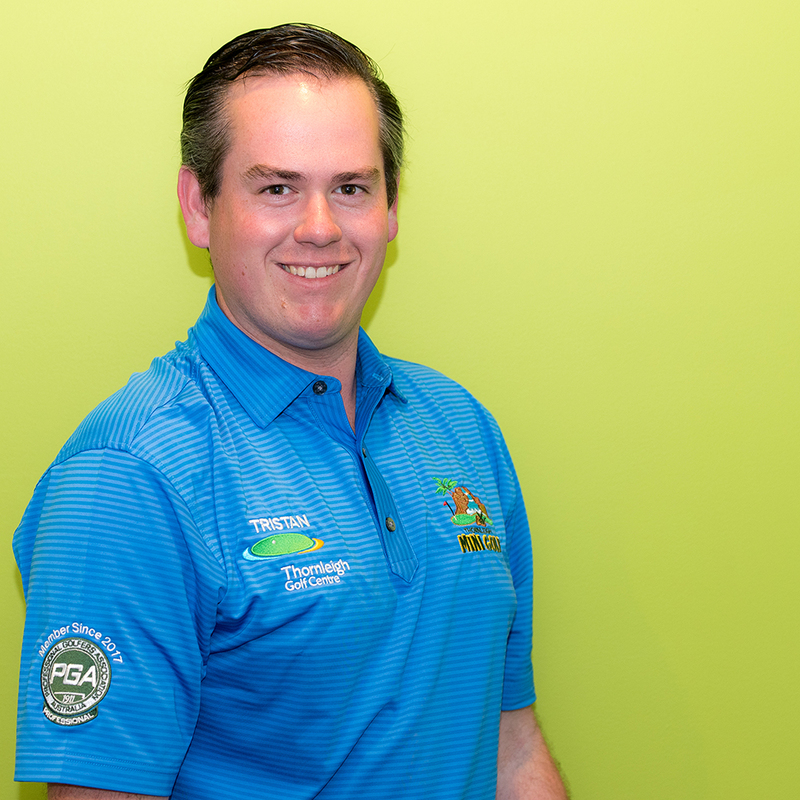 Tristan has gained a wealth of experience working at both Asquith Golf Club and Thornleigh Golf Centre. He also regularly plays in renowned tours such as the Australian Pro Am, the Trainee and Australasian Tour. Tristan has had 3 wins so far, including a course record 69 at Manly Golf Club. Tristan has also worked at Powergolf where his focus and interest was club fitting. Since joining the team at Thornleigh Golf Centre Tristan has gained experience in all facets of golf. Tristan is also Trackman Level 2 Certified and loves using the best technology to find the perfect set of clubs for you! Tristan believes the key to coaching is simplicity; start with a solid foundation and build the swing to suit the student. No two people are the same, so why should their swings be!